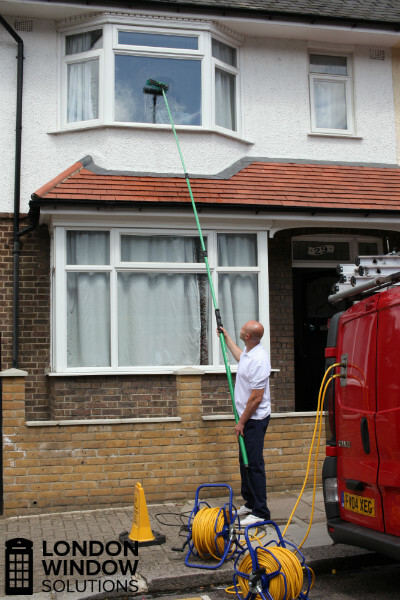 We make it our number one priority to deliver the highest quality residential window cleaning services in the London area. The experienced window cleaning specialists are here to show you exactly how hassle-free keeping your windows and other glass surfaces sparkling and shiny can be. Highly recommended service – receive a service that's been given 97% positive feedback from over 50,000 customers! We have always made it a point to deliver a service that will always result in a finished product that we all can be proud of. We ensure that we get the best results by always hiring the most skilled and qualified professional window cleaners that can be found and by employing the most advanced and effective window cleaning methods on the market. The team of highly dedicated professional cleaners is equipped with the most advanced tools that will make the washing of the windows in your home as quick as possible. The water-fed poles system for cleaning windows that we use ensures that the specialists are exposed to a minimum risks and hazards on the job, while at the same time delivering a service of highest quality. Why Should You Opt for Professionals? Anyone can benefit from the services we provide because of their affordability. From all housekeeping activities this is one of the riskiest. And if you want to avoid any incidents and injuries but at the same time have spotless windows, then entrust this task to us. We offer some of the lowest rates for all types of window cleaning in London including conservatory windows. Each project we take on puts our work ethic and know-how to the test and we always pass. Not only will our work pass your inspection, our methods are completely compliant with all current legislation regarding safety for the workers and for those in the vicinity. 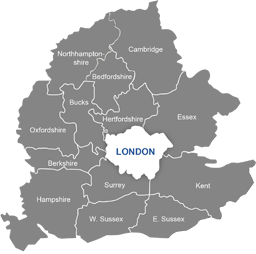 To see the London Window Solutions difference for yourself, call 020 3746 2532 or fill out the form on the Request a Service page.